Looking to access PayPal from countries where it’s unavailable or want to know if PayPal works with a VPN? We'll answer these questions and suggest some of the best VPNs for PayPal. Most people assume that their online activities are private but this simply isn’t the case. In fact, your Internet Service Provider (ISP), hackers, your employer, and in some countries, the government can see what you do on the internet. However, when you connect to a VPN, your traffic is encrypted, and as such, unreadable by any third-party observer. This is especially useful if you tend to use PayPal while connected to a public wifi network, where hackers are known to lie in wait to steal information. VPNs come with one other major benefit: they allow you to spoof your location and access geo-restricted services from anywhere in the world. This includes access to PayPal in countries where it’s blocked. Additionally, like many online services, PayPal limits access to accounts when the user logs in from a different country than usual. By connecting to a server in your home country beforehand, you trick PayPal into thinking you’re still at home and drastically reduce the likelihood of being locked out of your account. ExpressVPN: A fast, secure, and privacy-focused VPN capable of unblocking a wide range of geo-blocked platforms abroad. Allows payment with PayPal. NordVPN: A high-speed, budget-friendly service with plenty of advanced security features. CyberGhost: Fast, inexpensive, and user-friendly, with excellent unblocking ability. IPVanish: Lightweight, with high speeds, strong security, and multi-platform support. PrivateVPN: A versatile, no-logs VPN with faster speeds than most and great unblocking ability. Begin by signing up for one of the VPNs listed below (we recommend ExpressVPN). Download and install the app, making sure to get the right version for your device. Connect to one of your VPN’s servers in your home country. Log in to PayPal. You should now be able to use the service as normal. If not, try clearing your browser’s cache and cookies, then reload the page. GET A PAID VPN FOR FREE: If you’re only looking for short-term VPN coverage (for instance, if you’re going abroad on vacation), you can take advantage of ExpressVPN’s 30-day money-back guarantee. While you’ll have to pay upfront, you can cancel at any time for a full refund, effectively allowing you to try the service for free. ExpressVPN currently has more than 2,000 servers spread over 62 countries. It can unblock PayPal as well as popular streaming platforms like Netflix and Amazon Prime Video abroad. This service is fast, reliable, and capable of streaming live HD video without any issues, so there’s no need to worry about your connection dropping mid-transaction. This provider puts major emphasis on your security. 256-bit AES encryption is enabled by default, and there’s IPv6 and DNS leak protection, perfect forward secrecy, and a kill switch (in desktop apps) that stops all traffic should you disconnect unexpectedly. ExpressVPN doesn’t log any personally identifiable information and you can pay with Bitcoin if you’d like another layer of privacy. If you run into any problems, you can contact support 24/7 over live chat. ExpressVPN has apps for Windows, Linux, MacOS, Android, and iOS. It offers custom firmware for routers which simplifies the installation process considerably. 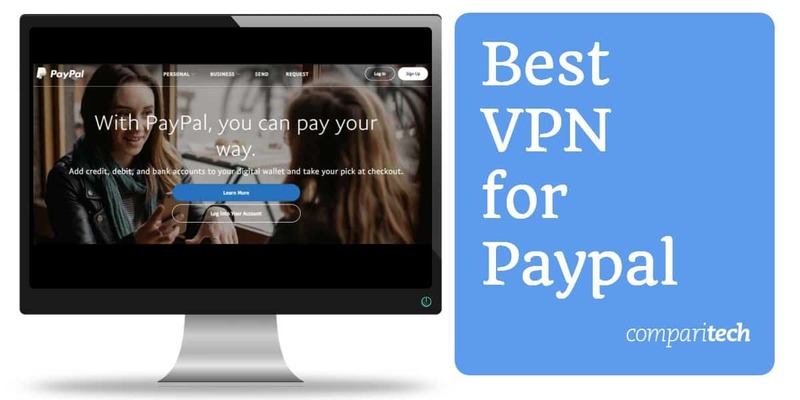 BEST VPN FOR PAYPAL:ExpressVPN is our #1 choice for using PayPal. It’s secure, privacy-conscious, and has a wide network of high-speed servers to choose from. Additionally, this service includes a 30-day money-back guarantee meaning there’s no risk whatsoever. NordVPN has the largest network of any major VPN provider, with more than 5,000 servers in 62 countries. This all but guarantees you access to a reliable, high-speed connection, which is particularly useful if you use services like Skype for business. NordVPN can easily unblock stubborn platforms such as Netflix, so PayPal won’t present a problem. This VPN uses 256-bit encryption, an app-specific kill switch, and protection against DNS, IPv6, port forwarding, and WebRTC leaks to keep your traffic private. That’s just scratching the surface, though: there’s also an ad-blocker and malware-scanner, as well as dual VPN and Tor over VPN functionality. NordVPN logs no data whatsoever and allows you to sign up anonymously using Bitcoin. Customer support is available via live chat, 24/7. NordVPN apps are available for Windows, MacOS, Linux, iOS, and Android. It works on select network routers but must be installed manually. NordVPN works in China, the UAE and other countries that restrict VPN use. Note that while this VPN will work with PayPal you can’t sign up for NordVPN and pay using PayPal. SECURE, LOW-COST VPN:NordVPN provides customizable security, fast speeds, and strong unblocking ability at a very reasonable price. It comes with a 30-day money-back guarantee, so you can try it completely risk-free. CyberGhost currently offers access to more than 3,500 servers in 59 countries and puts particular emphasis on ease of use. This service provides consistent, high-speed connections, easily unblocks sites like PayPal, and allows up to seven devices to be connected at once. If you’re looking for a VPN that is super easy to use out of the box, CyberGhost is a strong choice. One of the best things about this service is that its security features are enabled by default. There’s 256-bit encryption, automatic ad-blocking and malware-scanning, DNS and IPv6 leak protection, and an always-on kill switch included in every version of the app. You can pay with Bitcoin if you’d like, but CyberGhost doesn’t log any identifiable information so your privacy is guaranteed either way. Need help? You can reach customer support 24/7 over live chat. CyberGhost offers Windows, Android, MacOS, and iOS apps. Manual configuration is required for use with Linux systems and select wireless routers. IPVanish has over 1,200 servers across more than 60 countries. With fast, reliable connections, excellent multi-platform support, and decent unblocking capabilities, this provider makes it easy for you to access services like PayPal wherever you are. Further, since up to ten simultaneous connections are allowed, you can use IPVanish to protect all of your devices at once. For a service with such lightweight apps, there are a surprising number of security features built in. IPVanish uses 256-bit encryption, a kill switch (desktop only), and DNS and IPv6 leak protection by default, but you can choose to obfuscate OpenVPN traffic to hide the fact that you’re using a VPN at all. Further, this service doesn’t log any information which could identify you. If you need help, you can reach customer support 24/7 via live chat. IPVanish provides apps for Windows, MacOS, Android, iOS, and Amazon Fire devices. Manual installation is required for Linux-based platforms and select internet routers. BROWSE SAFELY ANYWHERE:IPVanish is a versatile, high-speed VPN that allows up to 10 simultaneous connections. It comes with a 7-day money-back guarantee. PrivateVPN has a smaller network than many rivals (with 88 servers in 57 countries) but makes up for this by providing better-than-average speeds and exceptional unblocking ability. It has no problems unblocking platforms like PayPal, Netflix, and Amazon Prime Video abroad and allows six simultaneous connections, so you can cover all your devices. This service protects your traffic using 256-bit encryption, IPv6, DNS, and WebRTC leak protection, as well as a kill switch (Windows only). Additionally, it has a strict no-logging policy, so there’s no risk of your activities being traced back to you (although you can sign up with Bitcoin for added anonymity). Live chat is available almost 24/7 (it’s offline from 1-3PM PST) and the staff can even remotely install the software for you, with your permission. PrivateVPN has MacOS, Windows, iOS, and Android apps. It must be manually installed on Linux systems and select routers. PRIVACY GUARANTEED:PrivateVPN is a logless, secure, high-speed VPN which lets you use PayPal from anywhere in the world. Better still, its plans all come with a 30-day money-back guarantee. Can I use PayPal safely from abroad with a free VPN? Free VPNs are often tempting, but they come with several significant disadvantages that paid services don’t. Take their speeds, for instance: free VPNs usually have far more users than their servers can support. This causes network slowdown which manifests as painfully long loading times, random disconnection, and an inability to use services like PayPal effectively. Further, as free VPNs are usually the first to be blacklisted by geo-blocked platforms, there’s no guarantee you’ll even be able to access your chosen service. Building and maintaining server networks isn’t cheap, and free VPNs have to make money somehow. You’ll often find that they insert large, obnoxious ads into the pages you visit, but some have resorted to even shadier tactics. By storing a tracking cookie on your device, they can monitor your activities and build a detailed consumer profile. Once enough information has been accumulated, your profile can be sold to advertisers, usually without your knowledge. By acting in this way, free VPNs remove any control you have over who can see your data. These services also pose a real security risk. A 2016 survey of free VPN apps found that over one-third contained malware of some kind. Perhaps more worryingly, 18% were content to let you browse without any encryption and more than 80% leaked personal information over IPv6. Your safety isn’t guaranteed with a well-known service either, as we found out during the Hola botnet scandal. To stay as safe as possible online, we recommend using a VPN with a proven history of putting its customers’ privacy first. Why is PayPal unavailable in some countries? 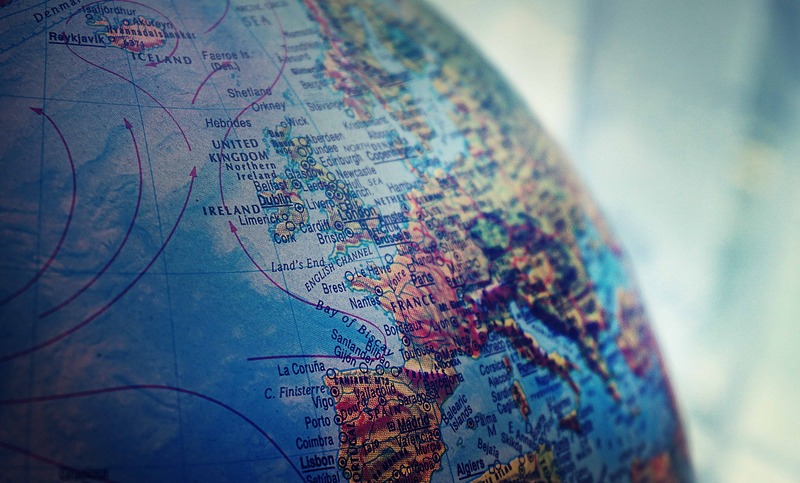 PayPal is currently available in over 200 regions worldwide, but not quite everywhere. There are several different reasons for this, one being that some locations, like Antarctica and Christmas Island, just don’t have enough permanent residents to make the effort worthwhile. Others, including North Korea, Iran, and Cuba, are sanctioned by the US (where PayPal is based) and as such, monetary transfers to these countries are forbidden. However, there are a disproportionately high number of countries in Sub-Saharan Africa where PayPal isn’t available. In 2004, the company blacklisted several regions entirely after realizing they had particularly high rates of credit card fraud. The e-commerce landscape has changed dramatically since then, however, and as PayPal’s now boasts an estimated 267 million users worldwide. Understandably, previously-blocked countries such as Ghana have expressed interest in making a return to the platform in the near future. Will a VPN let me use PayPal securely on public wifi networks? Public wifi networks are convenient, but rarely very secure. This makes them a prime target for hackers who use all manner of tricks including Man-In-The-Middle attacks, packet sniffing, and fake hotspots to intercept your traffic. As a result, we strongly advise against using public networks for PayPal or any kind of online banking. If you really have to do so, it’s best to connect to a VPN first. This will prevent your activities from being monitored, and ensures your login credentials can’t be stolen. As an added bonus, VPNs allow you to bypass web-filtering and access sites and services that the hotspot owner has blocked. Can I sign up for PayPal if it’s not available in my country? PayPal works slightly differently than most geo-blocked services. Usually, if you try to access such a platform from a country outside of its intended area, you’ll be shown an error. In contrast, PayPal allows you to visit any regional version of the site. This will function as normal, except without a payment method linked to a local address, you won’t be able to sign up. This makes signing up from abroad almost impossible without a friend or relative in your desired country. Given the complexity of international financial legislation and the fact that PayPal expressly prohibits this practice in its acceptable use policy, we do not recommend attempting to sign up from countries where PayPal is not already available. 9 Can I use PayPal safely from abroad with a free VPN? 10 Why is PayPal unavailable in some countries? 11 Will a VPN let me use PayPal securely on public wifi networks? 12 Can I sign up for PayPal if it’s not available in my country?